Marketing 101: Email Marketing: Is it Right for Your Small Business? Email Marketing: Is it Right for Your Small Business? Any kind of marketing in an economy that is still sluggishly recovering is not easy. But if you think marketing a profitable business is tough, imagine how hard it is for a non-profit that is completely dependent on donations. Dreams4Kids is one such non-profit that succeeds primarily with email marketing. Their motto is "replacing charity with opportunity," and they do just that by stimulating participation and community involvement. The most famous quote by cultural anthropologist Margaret Mead is, "Never doubt that a small group of thoughtful, committed citizens can change the world; indeed, it's the only thing that ever has." Dreams4Kids is this kind of forward-thinking small group, and its success is directly linked to its marketing campaigns. While Margaret Mead's quote bears remembering, it is also true that the engine that drives such successful enterprises is marketing, and with non-profits, donors are the spark that runs the engine. 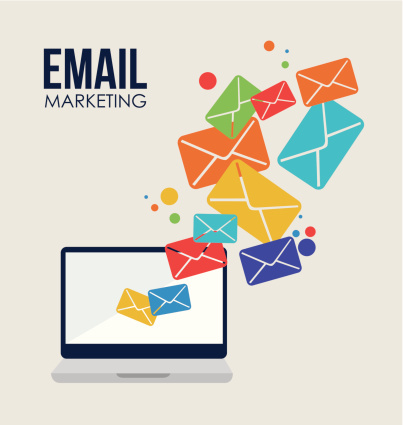 Marketing through email has been around for quite a while now. It is basically the online version of a direct mail letter--the electronic counterpart to postal letters, fliers, and brochures that have been used and are still being used so successfully. Combining your print marketing with your email marketing just makes sense. Some of the advantages email marketing has are obvious. Emails are fast and cheap. They can deliver your message almost immediately at almost no cost, and have literally no negative environmental impact. That is quite a bargain. But there are some less obvious benefits, too. With email, you can track whether your mail is getting opened or not. That is valuable information for any marketing campaign. After all, the trick is still getting your message opened and read. If you can determine which messages are getting opened, you have a head start in adjusting the campaign. How does a non-profit like Dreams4Kids successfully market using email? They follow some easy guidelines that any small business can employ. 1. Decide what kind of campaign you want. Emails can be regularly scheduled newsletters or more sporadic announcements linked to specific events. Both are beneficial and should be considered. But, if you try the latter, be sure your timing is appropriate. The reader must have time to react, but not too much time. 2. Know your target audience. This is an important step in getting those emails opened and read. Whatever is in your email, it has to be relevant to the clients' interests or you are wasting your time. 3. Provide value. Once it is open, your email must provide something valuable to the reader, whether it is a discount coupon, an announcement of a product launch, or some other information that the client has an established interest in. This is where the mantra comes from: Content is king. The content must have value. Determine what your customers' questions are and then answer them before they are asked. That provides value. 4. Be brief and to the point. Rambling messages rarely get read completely today. One such email could doom all your subsequent emails to the delete button without being opened. 5. Use images to attract the reader's eye and maintain interest. A picture really is worth 1,000 words. 6. Use a mobile-friendly email template. If you still think today's technology is mostly limited to desktop computers, think again. Technology statistics website Statista.com says that Apple Computer's iPad sales top $1.6 billion quarterly. Worldwide tablet sales by all manufacturers are now over 50 million units quarterly. The days of the desktop's supremacy are now well behind us. Your emails have to be easily read on tablets and smartphones or your campaign is doomed from the start. Using email in conjunction with your print marketing really can work for you so that your business becomes part of your customers' conversations. If Dreams4Kids can effectively use email to attract donors, you can use it to attract and keep customers for your business.